Hair is a very important aspect for the overall impact of a look. At the Carmen Marc Valvo Spring 2014 fashion show during Mercedes-Benz Fashion Week at Lincoln Center on September 6, 2013 in New York City, a new trend was spotted. The brand, known for its sophistication and glamour, in this collection played with the retro and mod mood. The theme of the show was techno tribal. This was complimented by the use of black and white, a modern take on the tribal look. 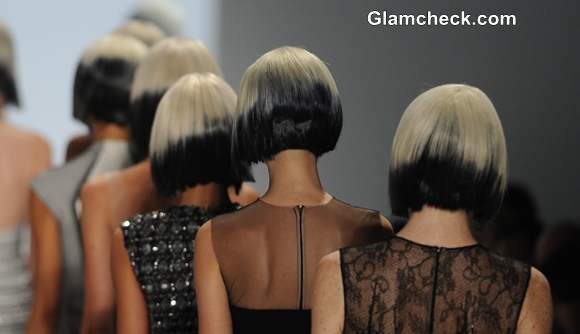 For the hair, silver/ blonde wigs were shaped into an uneven bob with the tips dyed in black. It was indeed very interesting to see the end result. The stark contrast created a dimension and a sense of illusion. 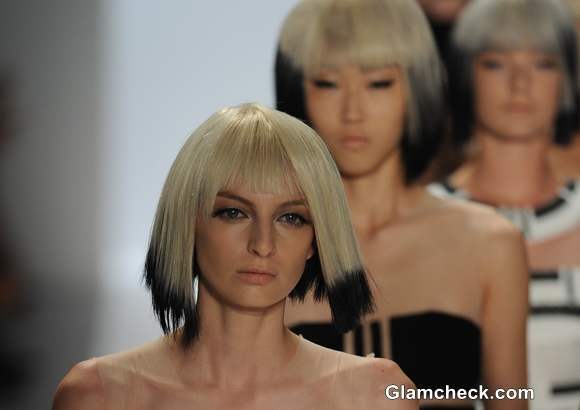 The blunt bangs in combination with the bob cut along with the highlights were absolutely a new take, which we loved! 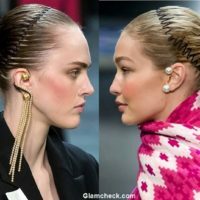 This trend will definitely attract some attention. The dip dyed hair is a modern perspective on the tribal look, making it chic, high street and definitely wearable. – You can get a light coloured wig and then dip part of it in black dye. – The amount of dip dye used can be till above the ear covering a majority of the hair or just at the tips. 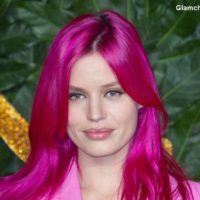 – If you don’t want to be too bold, you can opt for your natural hair colour wig and dye it with blonde streaks on the tips. It is basically means to invert the colours with the darker colour on top and the blonde at the bottom. – One can also try experimenting with your own hair by only dying the tips in a contrasting colour. – You may or may not go for the bangs, but if your face shape is oval, then just go ahead. – The heavy bang complements most face shapes so you need not be worried. 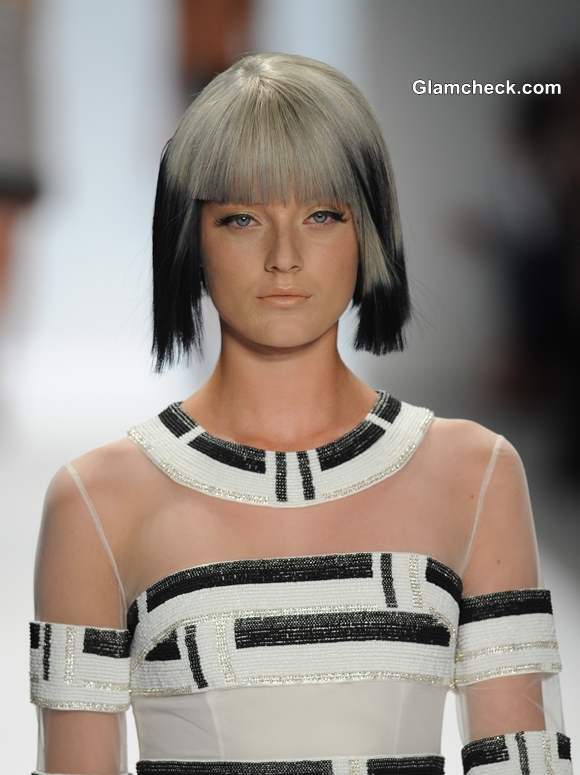 The bold dip dyed asymmetric bob with blunt bangs is the trend to follow this season. One can team this look with just about anything from casual get-togethers to fun evening parties. 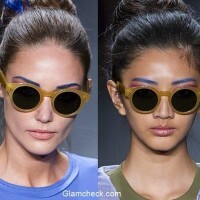 You will certainly grab some eyeballs and people will be style struck by you!